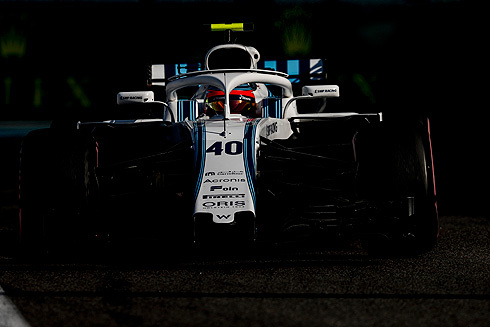 Now the Williams team is close to the start of testing for the 2019 season and Chief Technical Officer Paddy Lowe has spoken of the teams choice of Robert and how his arm injuries are not a factor any more. But he did admit that back in 2017 the situation was somewhat different. Paddy's comments regarding Robert's move into the role as a full-time Williams driver as extremely supportive. Now it will come down to whether the team can supply him with 2019 car that can allow Robert to show his talent. For Williams 2019 driver Robert Kubica his history within Formula One has been one of highs and lows with his early years in Formula One marked by his only Grand Prix victory with BMW and a time with the Renault team prior to his leaving the sport to taking up a rallying career. It was this rallying career that would see him suffer now well known arm injury that would keep him out of the sport for sometime. But even though he would return to rallying a return to Formula One was always on his horizon and it would be 2017 that would see him get the opportunity to take part in tests with several teams, including the Williams team. At this time no doubts were raised about his ability to drive given the injury to his arm. This would see Robert secure the 2018 Reserve driver role with Williams. Robert would take part in his first Grand Prix weekend since the final round of the 2010 campaign, in Friday's first practice session at the 2018 Spanish Grand Prix, where he would outperforming teammate Lance Stroll. After a period of consideration by the Williams team and before the final round of the 2018 Formula One season the Williams team would announce that Robert would be driving with the team joining George Russell in their driver line-up. Now the Williams team is close to the start of testing for the 2019 season and Chief Technical Officer Paddy Lowe has spoken of the teams choice of Robert and how his arm injuries are not a factor any more. But he did admit that back in 2017 the situation was somewhat different. In an interview with Motorsport.com Paddy spoke of the decision to take on Sergey Sirotkin over Robert for the 2018 season. Paddy said: "It's never that easy to chose drivers on a technical basis.". "And actually if you look in the past very often what they weren't picked on a technical basis, team principals were just sort of put a finger in the air and decide they like the look of somebody and then give them a job. "So we went through a pretty careful process, and from that picked Sergey. I believe that was the right choice. But within that process I don't think [Robert] was able to show his best. "And I think that's been disappointing to him all year, but I think 12 months later we've been able to see, get to know him better and see what he can contribute and how he can perform. "So that also supported the decision that we made. "I think, even as we've done it, the amount of data is quite limited. So I think, like many things in life you do the best for the data you have, and then you make a decision, and see how it works. "We are 100% committed to both George and Robert, and once we become committed and they become 100% part of the programme and we work with them, they work with the car, then you know, that plays out, and we see where it takes us." Addressing the issue of the injury to Robert's arm Paddy made it very clear that he views this as no longer an issue that is worth consideration. "It is clearly something we had to consider in the selection, because you can't pretend that is not an issue, or potential issue. But now we've made our decision and we are confident that Robert is absolutely top class and ready to return to F1. "I don't even think about it any more, it is just not a factor. "Robert is our driver, he's 100% competent, he is 100% committed, we're 100% committed and we'll just go with that. Maybe other people from outside may bring that up, but it is not even in our minds." Paddy's comments regarding Robert's move into the role as a full-time Williams driver as extremely supportive. Now it will come down to whether the team can supply him with 2019 car that can allow Robert to show his talent. That sounds logical & confirms some of Kubica's own words that people expected him too much to do miracles right out of the box. Probably he was not ready last year and with more time in the car, he finds back some of his speed. It reads like Williams is distancing themselves if Sausage Boy doesn't live up to expectations. You must be like the only person that came to that conclusion lol. I doubt if he's any more ready this year. He's had very little time in the car. If they had been serious about hiring him for 2019, they'd have given more seat time. There really is no substitute. Maybe there are fewer doubts and reservations about his arm . . . but in a strange way. There was a podcast with Smedley after he left. Rob said something like, 'I don't know how he does it, but he does.' And he added something like, 'God works in mysterious ways'. Gunk, That was something he pointed himself in summer I think that people are expecting too much from him to jump in the car and be ready from day one.So I'm still on the idea he needed more milage in the car to find ways to unlock his speed with new physical limitations in an F1 car. Anyway, what was the other answer Paddy could give? Probably that last year someone else was paying more for the seat, this year that driver's money dried up, we waited someone else to come & pay more but there was no-one else....Not a good motivating answer from a TD!